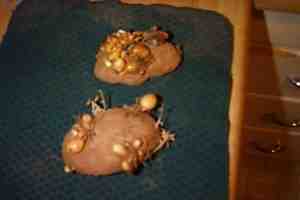 Speaking of odd vegetables, these potatoes were found giving birth to their tuberous offspring down in the root cellar. "It's a modern world", they seemed to say. "Who needs dirt?"